The surprise removal of Finance Minister Nhlanhla Nene has elicited strong reactions from various sectors in South Africa, as he is replaced by the relatively unknown ANC MP David van Rooyen. Cosatu said the decision by the president was discomforting, but wished the new minister luck in his new position. "The new minister should also be firm and decisive in freezing the nuclear procurement deal, that is not only unnecessary and dangerous, but that is unaffordable. That deal needs to be properly discussed in a very transparent manner." The removal of Nhlanhla Nene as finance minister was shocking, disconcerting and ill-timed, according to trade union federation Cosatu. The economic cluster did not cope well with abrupt and unqualified changes, it says. The South African Chamber of Commerce and Industry (SACCI) wants President Jacob Zuma to explain the removal of Nhlanhla Nene as finance minister, adding that it noted "with concern" the axing. "Mr Nene had begun to find his feet after 18 months in the post and brought with him a number of years’ experience as Deputy Finance Minister," the body said in a statement. The South Africa Airways pilots' association (SAAPA) says that it is going to take some time for the new Minister of Finance to come up to speed with a very complex portfolio. "We appreciate that there is now a new Minister of Finance and it is going to take some time for him to come up to speed in a very complex portfolio. "We are going to engage with his office to provide him with background information on SAA that we believe is essential for him as the new representative of the shareholder. "We look forward to an opportunity of engaging with him as soon as possible, and most certainly before he makes any decisions regarding the governance of South African Airways. From Fin24 user David Sommer: As a newly arrived resident to South Africa, I am experiencing the deep sadness that the majority of the people are experiencing while this so-called elected leader of the country behaves like an individual who has let power and money go to his head. South Africa has so much to offer yet the small cabal of so-called leaders seem to lose all sense of why they are in office when they have all this power and wealth. I moved here because I believe the country and its people have so much to offer the world and I hope that time will bring stability to all and that leaders with morals, integrity and pride will one day soon be elected. Newly appointed Finance Minister David van Rooyen says he is aware he is facing a "colossal" assignment in his new job. "As you are all aware, mine is a colossal assignment coming at a time when the global economic outlook is not favourable, more especially for emerging markets," he said following his swearing in at the Union Buildings in Pretoria. Van Rooyen: All economic indicators as you are all aware are pointing to the south. Now I must undertake in front of you and the nation that I will ... ensure that every policy is directed at creating favourable investment conditions leading to the development of South Africa for all South Africans not for the few. Van Rooyen: We need to improve the issue of accessibility ... National Treasury must be accessible ... our duty is to simplify issues of public finance. Van Rooyen says he will start proper engagement with the media and the nation in due course. Van Rooyen acknowledges that the economy is heading south. ANC MP David van Rooyen has been sworn in as the new Finance Minister of South Africa at the Union Buildings in Pretoria. 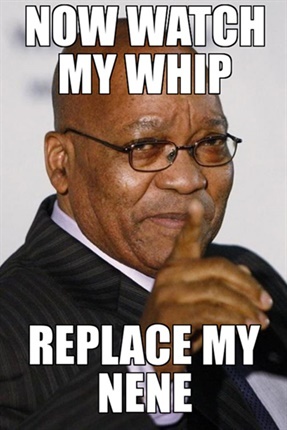 From Fin24 user Fiona Craig: SA can no longer afford to keep Jacob Zuma in the driver’s seat. His policies have always been heavily flawed as he is only interested in personal enrichment, but this latest move seems to be a descent into insanity. Proof the ANC has no interest in anyone who has principles and acts against their blatant corruption. On the JSE, financial services companies and specifically banks, felt the brunt of the news that President Jacob Zuma on Wednesday removed Finance Minister Nhlanhla Nene from the Finance portfolio in Cabinet. Nedbank lost 7.74% to R184.99, Standard Bank gave up 7.21% to R113.55, Capitec was down 3.85% at R549.99 and FirstRand lost 5.8% to R42.91. Sanlam lost 8.01% to R52.82, Discovery 7.91% at R124.78. 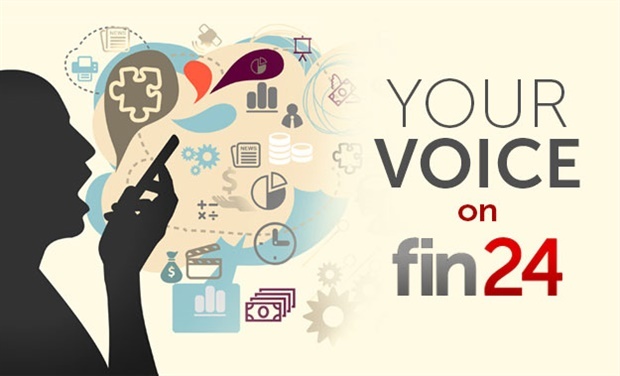 "Think what this does to the pensioners who rely on the marketplace for their income. I am now scared, very scared. We pray for rain, lets also pray for end to this dictatorship and return to civilised democracy as in the days of Nelson Mandela and Trevor Manuel." From Fin24 user Carli: Every day we see the selfish decisions (President Jacob) Zuma makes - with Nkandla, the Straler (Jet) and now Nene - but still we as citizens and political parties allow it. Where will this end? I say no to bad leadership and I say NO to Zuma. We can still save SA #ZumaMustFall. Nene is involved in a battle he will never win. He is a superb public servant but he lacks political clout within the ANC and has the misfortune of having to continuously fend off economically illiterate and rapacious political predators. He has correctly stood up to Myeni: no self-respecting finance minister should countenance the kind of flagrant abuse of public funds that has become the norm at SAA. From a Fin24 user who calls herself 'Just a tax paying widow': Shocking news. Our democracy is now a dictatorship. Keep the people poor and you keep the power. ANC and Zuma must go before we become a second Zimbabwe. The finance minister's removal shows the ANC's disregard for market considerations and a 50- or even 100 basis-point rate hike may soon follow, says an analyst. 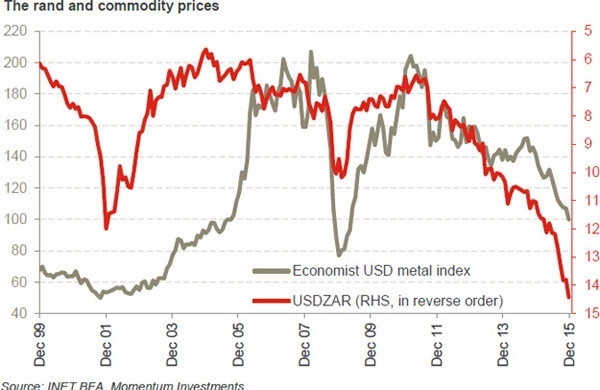 Any meaningful rand rebound would be dependent on a recovery in commodity prices. Fin24 user Jannie Zeman says: To all politicians out there with any sense, no matter which political party you are affiliated to, set aside your differences and ensure that Zuma is recalled as president! Our country cannot afford this man to be in charge any longer! He is running the country like it is his own spaza shop on the corner! Come on, you can do it if you stand together! User Juanroux Greyling writes: Just remember the words of the ANC members themselves: "I did not struggle to be poor"
"At least JZ is straight about it... he is in it for the money. He has made that clear. He does not even try to cover it up anymore. He is just a straight-up dictator. South Africa has had a slow descent over the last 21 years... now watch it speed up. We are really in for a rough ride..."
Any meaningful rand rebound would be dependent on a recovery in commodity prices, which looks unlikely when reflecting on the magnitude and make-up of China’s growth slowdown and the overwhelmingly positive fundamental driving forces of US dollar strength, says Herman van Papendorp. "This time there is thus unlikely to be a repeat of the rand’s retracement as was the case during 2002-04 on the back of a China-induced commodity supercycle at the time. As such, ongoing rand weakness should underpin the local returns from global asset classes for South African (SA) investors." COSATU: Nene’s tenure was very short & the economic sector does not cope well with abrupt & unqualified changes; becos creates uncertainty. BREAKING: COSATU is shocked and disconcerted by the removal of Minster Nhlanhla Nene from his position. Nene's dismissal sent the rand to a record low of R15.30 to the Dollar as sentiment soured in an economy that is barely growing, squeezed by low commodity prices globally and the near certainty of an interest rate rise in the United States next week. The swearing-in ceremony of new Minister of Finance David Douglas Des van Rooyen will take place at the Union Buildings at 1pm today. Nene's dismissal "is a chilling reminder of the crisis South Africa is in", writes political analyst Judith February in the Daily Maverick. "Those within Cabinet might wish to ask what their role is in acceding to this crisis. Those within the ANC who still have a semblance of decency should surely now be questioning their part in this crisis? And we, as citizens, should finally be asking, why it is that President Jacob Zuma remains in office when he has set about to undermine our democratic institutions with such devastating precision?" London-based analyst Peter Attard Montalto says: His firing of respected Finance Minister Nhlanhla Nene sends a clear message to members of Zuma’s political party, his fellow citizens and the world in general: it is Zuma alone who makes the rules and if he wants to plunder the public purse, get used to it. Wichard Cilliers, director and chief dealer at TreasuryOne says the country is in for a tough time before things get better. 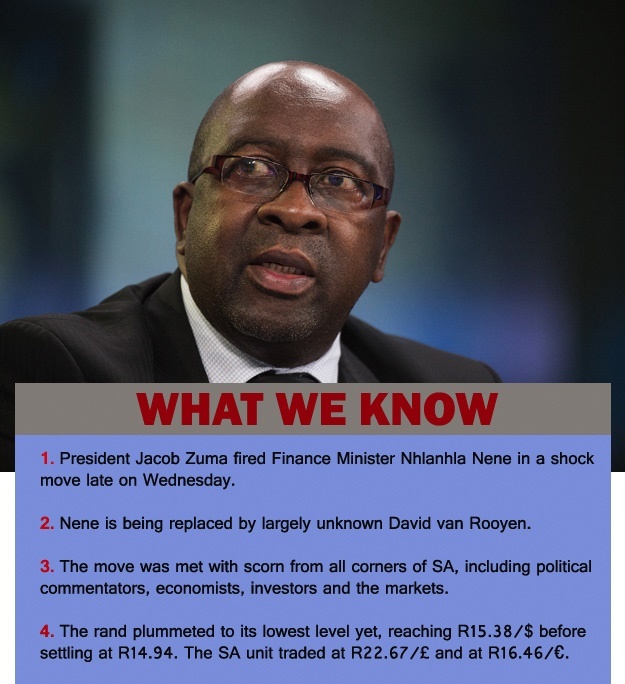 “The Rand has plummeted on the shock announcement of the capable Finance Minister Nhlanhla Nene being replaced by David van Rooyen, a complete outsider with no experience in Treasury. “International markets reacted aggressively and displayed their disapproval as the Rand lost 80c against the Dollar, 90c against the Euro and R1.10 against the Pound. “The dispatching of Nene reeks of grotesque politicking and it’s hard not to draw an inference to his sacking, and his opposition to the cost of the nuclear deal and the instruction to the SAA chair, Dudu Myeni, to reinstate a deal with Airbus after a questionable business scheme was proposed. “The appointment of David van Rooyen looks to be a political move to ensure these projects are financed and not questioned. “Since the start of December, the Rand has had a torrent time as the perfect storm has developed. “The Rand looks set to be on the back-foot today, as large foreign portfolio outflows are expected from the bond and equity markets today as the market digests the news. Data releases are minimal and focused on the US initial jobless claims and BOE interest rate decision, this will, however, remain irrelevant as today’s trade will revolve around Nene. More South Africans have mentioned President Jacob Zuma in their Facebook posts this year than any other topic. This is according to Facebook’s ‘Year in Review’ lists which has measured how frequently a topic was mentioned in posts made between January 1 and December 1 2015. From Fin24 user Frances Levey: Who is pulling Zuma’s strings? I am appalled Zuma MUST GO. From Fin24 user Poovan Govender: This is another tactic by Zuma to defraud SA public. The ANC will not do anything about it because they are all corrupt. I think it's time the people of SA stand up and boycott Zuma and ANC because if we don't do anything we're going to be headed towards another Zimbabwe. Montalto: Van Rooyen does not appear to have had strong policy making credentials within ANC structures over the last 20 years in the way the previous three Finance Ministers did. Montalto is also highly critical if Nene’s successor David van Rooyen: He has no central government experience and no provincial government experience. He has not been particularly vocal or independent. He was previously the mayor of a small town of around 197k people. Montalto: It is obvious that Nene’s firing had nothing to do with the double downgrades, he was praised by ratings agencies for core fiscal conservatism. The reasoning behind the downgrades was wider government policy and the lack of growth from wider policy. Montalto: Nene’s removal is directly related to pushing back on nuclear affordability and trying to exercise oversight on SAA. It has nothing to do with his competence at managing the country’s financial affairs. Montalto: The removal of a "technocratically sound, decent, hardworking, well respected (at home and abroad), fiscally conservative and reform-minded Finance Minister" is a serious blow to foreign direct investment and investors for several reasons. Nomura's Peter Attard Montalto sees Nene's axing as a serious blow for foreign direct investment and local and international investors. The rand/pound exchnage rate is heading for R23/£.